It’s always in the in-between spaces where freedom seems to creep in unnoticed, filling up cracks and crevices of latent longing. My final year of college, I left my fiancée, boarded a plane with my black umbrella, and touched down where the Inklings once walked. I was spending a semester in Oxford, and I planned to drink it all in–the architecture, the academic rigorousness, the living on my own. The main dorm was full, so I was placed with six other young women in a tiny, run-down flat a few miles from The Centre for Medieval and Renaissance Studies. We rode our bikes back and forth between classes cutting through Christ Church Meadows. There we met Zoe, an old woman draped in the velvet colors of wood nymphs. She could always be found on her bench, communing with a reality we couldn’t see, her eyes full of poetry and fire. She sat with the tree branches bending back towards the water, their designs on the cards she sold. I slowed down to hear her voice. In all of the in-between spaces, there was time to meander home each day, to make dinner in our closet of a kitchen, to see deer grazing at Magdalen College. We’d tape up medieval history timelines on our living room wall between the stenciled fleur-de-lis; we covered it in colored post-it notes and memorized until we were bleary-eyed. We’d have brilliant thesis statements for papers on Spencer’s Faerie Queen or Jane Austen and forget them in the morning. We quickly learned the routes to and from the city center, hopping on bikes to seminars and spreading out around the city, often leaving bikes in a tangle at the Bodleian Library. We were thirsty for knowledge and we drank our fill. Some of us came from more fundamentalist Christian colleges, where women were still required to wear skirts to chapel. Others, like me, came from classically evangelical colleges, where following rules made you holy. If we kept our doors open when our boyfriends visited, if we didn’t skip out on chapel, if we got A’s, then we’d have the boxes checked on the list of Good Christian Woman. We were all caught right in the middle of all of the “if…then’s…” and we hadn’t even known it. Sometimes it takes moving places to see where you’ve come from. It was in that land of willow trees and spires, where C. S. Lewis and J. R. R. Tolkein seemed to haunt our Christian memory, that we gingerly stepped into freedom. We moved out of rules, out of guidelines, and out of cultures that told us how to be a Christian woman. We said goodbye to boyfriends, we jumped on planes to France, and we toured Scotland and the Isle of Wight. We figured out train timetables for ourselves. We drank wine and cooked together. Slowly, over the course of weeks, our walking, biking, and traveling created intimacy. Then, it was the scholarly living-in-community I valued, where I was finally surrounded by a cohort of similarly serious women. Now, I realize it was my first foray into womanhood and freedom. You didn’t have to wear a skirt to follow Jesus. You could discuss postmodernist literary theory and the practices of St. Benedict in one breath and not be looked at askance. You could be smart and thoughtful and strong and beautiful. You could be everything. We didn’t want to choose between love and family, and living a thoughtful life. We imagined more for our futures than the version of stay-at-home motherhood our Christian subcultures told us was the epitome of womanhood. We craved a grounded womanhood, a womanhood rooted in the poetry of the land, with ideas that mattered and voices that were heard – no matter what we did for work or family life. We wanted a womanhood where we could stand sure-footed, warrior-strong, and wear our gentleness like a glorious garment. We flung our hands from covering our own mouths. We were women whose voices were no longer silenced, but freed. At the end of the semester, we met around a table in a pub that used to be a church and affirmed one another, our womanhood, and our personhood. We knew it to be a bit silly even then, but with our umbrella drinks in hand, we reclaimed the evangelical rites of testimony. Our words were thick with feeling as we testified to the goodness of each woman, to the Spirit within. We pushed back our individual darknesses, the lines in sand that said this was how you were to be a woman. We saw one another while the fading icons watched from the walls. There was more holiness around that table than in the rules we had left. 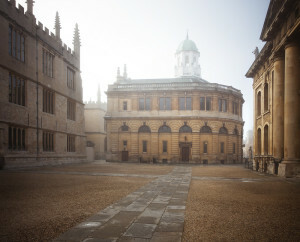 When I took a plane across the land and across the ocean, I thought it’d be the seminar rooms and the spires of Oxford that would stay with me. It was to be a sort of squeaky clean, pristine memory of old musty libraries, endless cups of tea, the solitary scholar behind a desk, and reams of notes signifying academic progress. But freedom was somewhere in the spaces between. It was in the orange walls of a run-down flat, and the hallowed halls of pubs; it was the paths between our home and seminars, and it was in a group of women finally released to affirm their personhood instead of static gender roles. It was in all the little particulars – it was in all the places of imperfection where I found freedom, and wholeness, and how I, too, had a voice. Ashley Hales describes herself as a recovering good girl who’s been caught by the wide mercy of Jesus. She clings to stories, hot cups of coffee, and “me, too” conversations with girlfriends. She’s mama to 4 littles, wife to her church planter husband, and holds a Ph.D. in English. 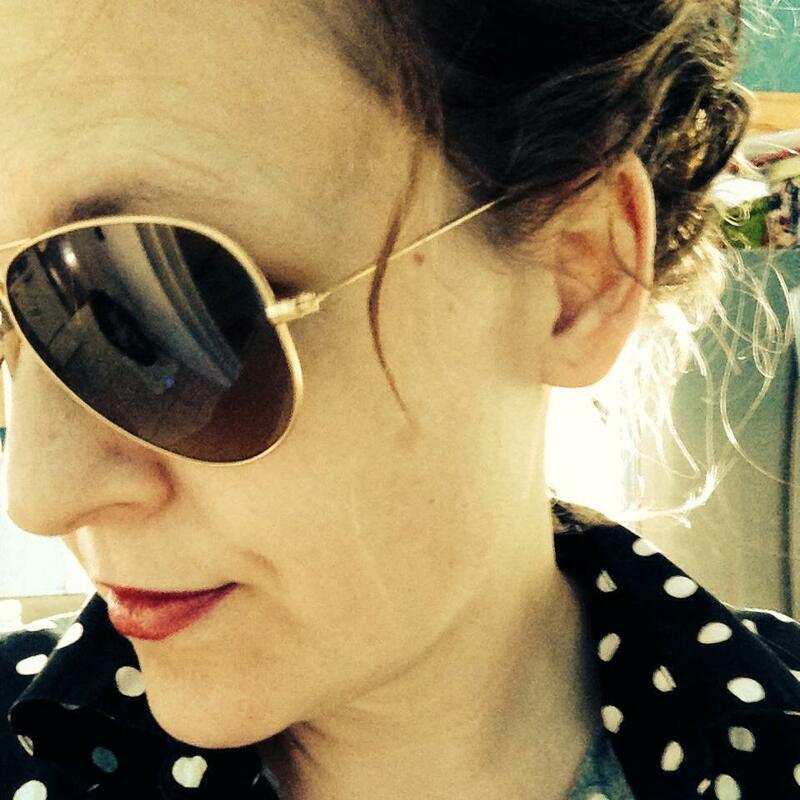 She writes at Circling the Story and The Mudroom and loves to make friends on Twitter. This entry was posted in Guest, Learning & Place and tagged Christian colleges, Christian woman, Oxford, womanhood. Bookmark the permalink. Isn’t that such a beautiful verse, Leslie? It’s a constant journey out of expectation and buttoned-up rules for rules’ sake and into the wide mercy of Jesus. Something I still struggle with daily. But God is good. Thanks for reading here. Ashley, thank you for sharing these memories and moments of metamorphoses. Reading through your experience took me on a journey of living vicariously through the freedom you found outside of the “American Evangelical Christian”, in class, your flat, the bike rides, and the welcoming pubs. My heart has been grieved for years at the cultural Christianity we have tried to promote and recreate through our Anerican lifestyle. Your writing here demonstrates the very real that can transpire when we change our surroundings, yet circle around our never-changing, intimate Saviour. Circling around tables was one way Christ got into the stories of the people…and I believe it’s still His model. Because…look how you girls came alive! Love, love, love this! Oh Adrienne, thank you for reading and encouraging me! I love what you say here: “Your writing here demonstrates the very real that can transpire when we change our surroundings, yet circle around our never-changing, intimate Saviour.” Yes, yes, amen!! There’s so much in that (and one reason why I named my own blog “Circling the Story” — it’s all we do, circle and come back to the gospel, come back to Jesus). So glad my words spoke to you! I know! I love that name and vision of your website! It’s the mission and vision of my NPO! LOVE IT! Yes, you are right, Kristin, that is what the early church struggled with and I think we do, too. (I sure know I do! I’d rather have the rules most days, but to walk in the Spirit is a more amorphous). I think the “freedom was somewhere in the spaces between” doesn’t mean we don’t say there’s a bedrock bottom to faith, but that our polarities can make us pretty inaccessible to one another. There needs to be middle ground. And I think it means that freedom comes in the journey, in the in-between spots where we don’t expect transformation. What do you think? I think yes—you’re exactly right! Ok good, we’ll just go with that then. 🙂 LOL. I enjoyed this immensely. I traveled to the UK during college for a too-few short weeks, glimpsed Oxford, and would have loved the experience you describe. Would love to go back. What a different perspective you probably bring to it now at this point in your life. I’m with Lisa…love the line about flinging your hands from your mouths. How did things change for you once you returned home? Thanks for reading and commenting regularly Amanda, it is such a gift to me. Oxford is such a special spot. Honestly, I think I’m still learning to walk in freedom, to keep my hands open wide. I don’t think it was a “once and for all, done and dusted” sort of thing. But it did open me up to stay out of hiding. Breaking aways from the religious rules and systems of the day. Sounds a bit like Jesus, doesn’t it? Good words here, Ashley! I’m thankful you keep inviting us to journey with you. Oh yes, it does sound like Jesus, Traci! I so find myself looking for the quick fix and the rules most of the time. It’s still a struggle. I’m so happy you’re here sharing this journey with me, too. Ashley, as a 56-year-old recovering good girl, I hear “me” in many of your words. “We flung our hands from covering our own mouths.” In my life, I am doing this by picking up my pen. (It is never too late to begin.) Thank you for using your gift to encourage women who are finding their true voice. Reading your words is a pleasure. Lisa, thank you. It’s always a bit thrilling to know we’re not alone. And you’re so right, it’s never too late to write or to begin something new. I’m finding my own voice still, too. Thank you so much for your encouragement!